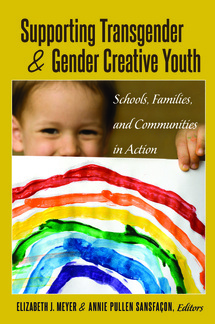 This book brings together cutting-edge research, social action methods, and theory on the topic of transgender youth and gender creative kids. The chapters included specifically address issues in education, social work, and counseling as well as challenges and recommendations for families and parents. It is well researched and accessible to a broad audience of individuals invested in improving the social worlds of gender diverse children and youth. "Invaluable and brilliant. Elizabeth Meyer's user-friendly book combines a comprehensive overview of theory and research alongside compelling illustrations of problems and practical solutions regarding gender and sexual diversity in schools. Anyone who works in or with schools should read this book ... and then act on it." ​This volume explores how gender and sexuality identities and differences get constructed through the process of education and "schooling". Educational institutions and educators play an important role in normalizing gender and sexuality differences by disciplining, regulating, and producing differences in ways that are «intelligible» within the dominant or hegemonic culture. Educational institutions have been set up to normalize the construction of gender and sexual identities in these ways, and this is both the overt and the "hidden" curriculum of schooling. At the same time, the postmodern times in which we live are characterized by a proliferating of differences so that the binary oppositional borders that have been maintained and policed through schooling, and that are central to maintaining highly inequitable power relations and rigid gender roles, are being challenged, resisted, and in other ways profoundly destabilized by young people today. 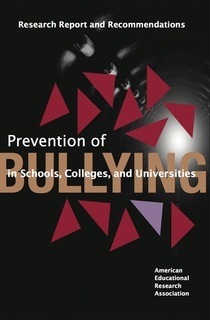 Members of the AERA Task Force on the Prevention of Bullying in Schools, Colleges, and Universities include: Dorothy Espelage, University of Illinois, Urbana-Champaign (co-chair); Ron Avi Astor, University of Southern California (co-chair); Dewey Cornell, University of Virginia; Jaime Lester, George Mason University; Matthew J. Mayer, Rutgers University; Elizabeth J. Meyer, California Polytechnic State University; V. Paul Poteat, Boston College; and Brendesha Tynes, University of Southern California.